As an author, I want my books to entertain my audience. Because I write picture books, that means I need to write stories that will entertain young children and have them begging for them every night at bed time. But there is another audience to consider: the adults who read to those young children. I don't want my readers--children or adults--to lose interest in a book after they've read it once. And I'm guessing that, if you are an author of picture books, you feel the same way. 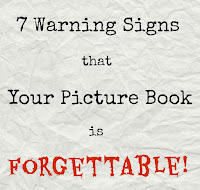 To that end, here are 7 warning signs that your picture book may end up forgotten at the bottom of a pile of more memorable stories. 1. You get tired of reading it yourself. Writing is rewriting, and that means rereading. And rereading. If you can't make it through a few readings of your story in the course of a writing day, what makes you think a child will excitedly shout, "Read it again!" after hearing it the first time? 2. It is 1000 words long. 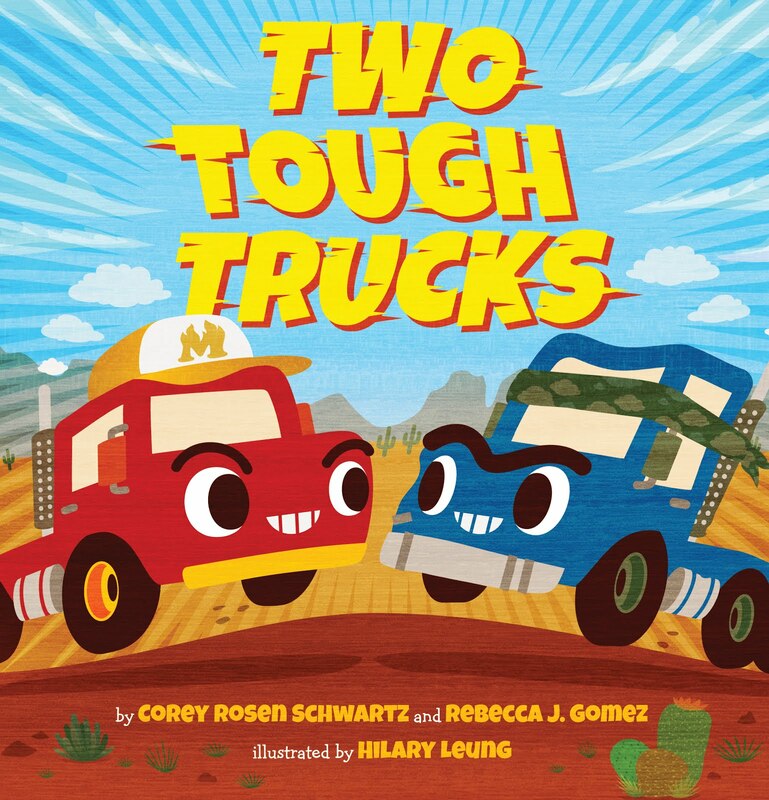 Short is good, especially for picture books aimed at pre-schoolers. The longer a story is, the longer it takes to read, and the less likely a parent will want to read it again. Also, consider your audience's attention span. Is a three-year-old likely to stay interested from beginning to end? A good rule I like to remember is this: the shorter your audience, the shorter your story should be. 3. Your book has no new or interesting language. 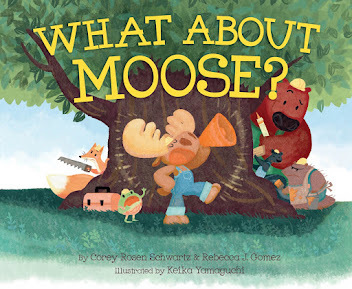 One thing that WHAT ABOUT MOOSE? has gotten praise for is its stunning vocabulary. Kids enjoy hearing new and interesting words. Not only that, but hearing language is how they learn it! Of course, you should consider your audience and don't overwhelm them, but also, never talk down to them. Just because a kid might not know the meaning of a word doesn't mean you shouldn't use it. 4. The text has boring, forced or predictable rhymes. Day/play. Sun/fun. Go/slow. Snooze fest! Predictable rhymes aren't always bad. Look at THE CAT IN THE HAT! But when you are writing a picture book, and not an easy reader, you have much more flexibility in the words that you use. Have fun and aim to use surprising rhymes. But don't force them! A rhyme should always make sense in the context of the line. A good rule to remember is that if you wouldn't use a word if you were writing in prose, it's probably not the best word to use as a rhyme. Keep at it until you get it right! 5. Or it has clunky, unnatural meter. No one likes reading a rhyming story that makes them stumble and go back and reread a line to correct the rhythm. It takes all the fun out of reading a rhyming story! So only use words and phrases that naturally fit the meter of your story. 6. Your test audience didn't even crack a smile when you read it to them. Children (and adults) want to be amused. If not amused, then moved in some way. They want to feel something. So if your test audience isn't reacting the way you expected, back to revisions! *Hint: referencing someone's rear end is a sure way to bring out some laughter. More on that in this previous blog post. 7. The most important person doesn't love your story. That's you. If you don't love the story you've worked so hard to write and polish, why should anyone else? 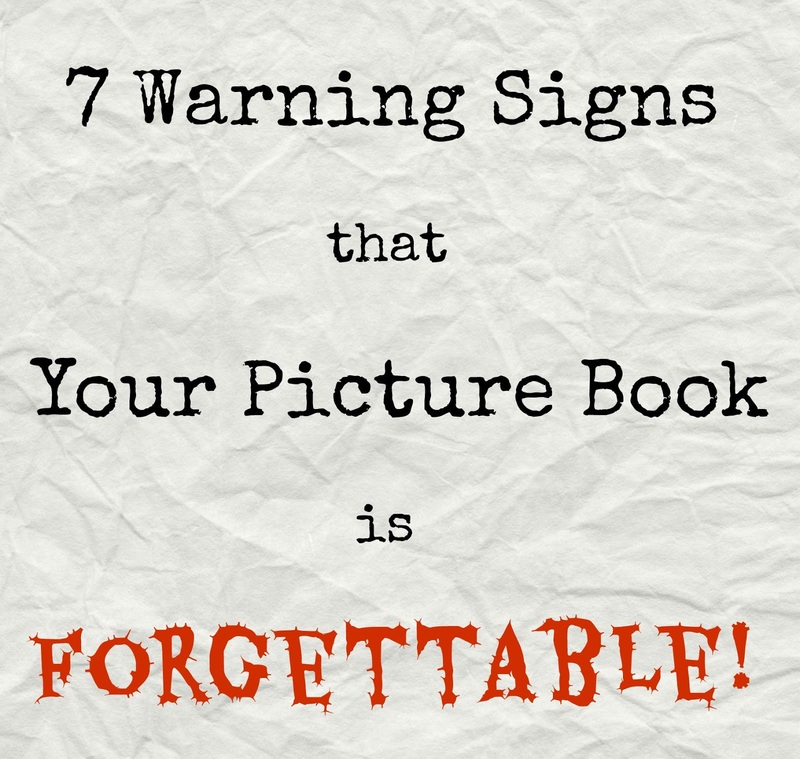 Do any of these 7 warning signs apply to your stories? What a helpful checklist. Thanks, Rebecca! Thanks for a great checklist. These are interesting insights about the process of writing picture books. I don't write them, but I enjoy reading them to young children and I only read ones that I love! 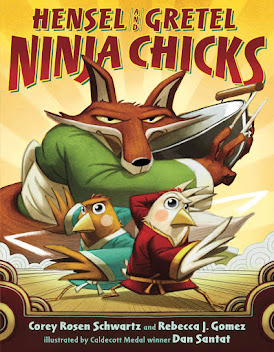 Of course, sometimes a book my kids love is NOT a book that I love, and I read it to them anyway. Or did. Before they stopped letting me read to them! Thanks for all the comments, everyone. I hope my advice is helpful!